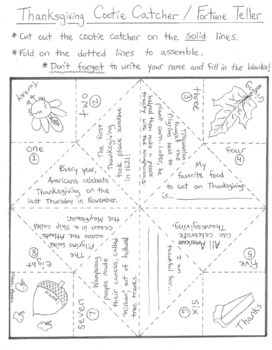 Your students will love this fun and educational Thanksgiving project! 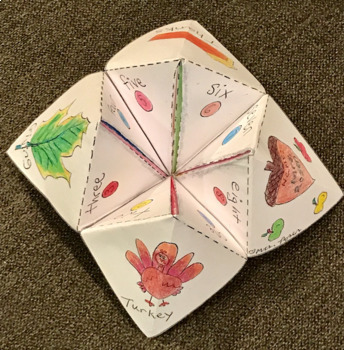 How it works: Parts of the "cootie catcher" is marked with numbers. These numbers serve as options for a players to choose from. On the inside are eight flaps, each one concealing a piece of information about Thanksgiving. 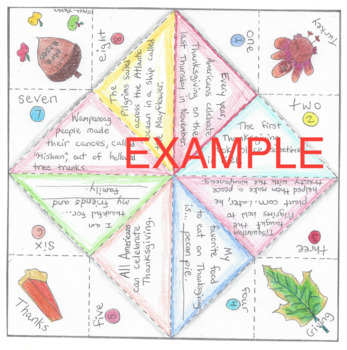 Students can color in their cootie catcher, fill in the blanks, fold and play!